Marlo Thomas is an award-winning actress, author and activist whose body of work continues to impact American entertainment and culture. She has been honored with four Emmy Awards, the Peabody, a Golden Globe, a Grammy, and has been inducted into the Broadcasting Hall of Fame. 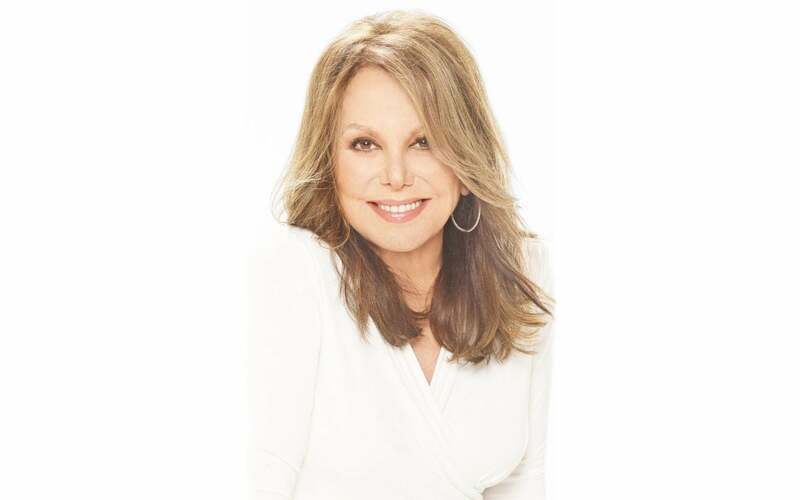 In 2010, she launched her website, MarloThomas.com, in partnership with AOL and The Huffington Post. Ms. Thomas burst onto the scene as television’s That Girl, which broke new ground for independent women everywhere, and which she also conceived and produced. Her pioneering spirit continued with her creation of Free to Be…You and Me, which became a platinum album, best-selling book, Emmy Award-winning television special and a stage show. She has remained a constant presence on television (most recently, The New Normal) and in theatre, including her critically acclaimed performance on Broadway in Elaine May’s 2012 comedy-drama, Relatively Speaking. This past Fall, she completed the film, “Cardboard Boxer” and starred in a new play by Tony award winning playwright Joe DiPietro called “Clever Little Lies”. The play will be opening at the Guild Hall this summer in East Hampton to prepare for a New York run. Her six bestselling books include Free to Be You and Me, Free to Be a Family, The Right Words at the Right Time (Volumes 1 and 2), Thanks and Giving: All Year Long (which became a Grammy-winning CD) and her memoir, Growing Up Laughing: My Story and the Story of Funny. Ms. Thomas’ newest book, It Ain’t Over Til It’s Over, was released this April. She has been honored for her activism with the Helen Caldicott Award for Nuclear Disarmament, the ACLU’s Thomas Paine Award, the American Women in Radio and Television Satellite Award, the William Kunstler Racial Justice Award, The National Civil Rights Museum Freedom Award, The Jefferson Award for Public Service, The American Cancer Society Humanitarian Award, and the Castle Connolly National Health Leadership Award. In 2011, she launched a bullying prevention campaign on her website, and helped speared a nationwide anti-bullying initiative in partnership with, among others, the Ad Council, AOL, Facebook, and the U.S. Departments of Education and Health and Human Services. Ms. Thomas is the National Outreach Director for St. Jude Children’s Research Hospital in Memphis, which was founded by her father, Danny Thomas, in 1962. Her countless fundraising and awareness campaigns have educated the public about the life-saving work being done every day at St. Jude. In 2004, she co-created the hospital’s annual Thanks and Giving campaign, a national fundraising effort that encourages shoppers to “Give thanks for the healthy children in your life and give to those who are not,” for which she received the CLIO Healthcare Award. Ms. Thomas lives in New York with her husband, Phil Donahue.